GeoMap is a newly introduced address verification tool allowing individuals, companies and institutes to better take control of their addresses. But GeoMap is more than just a simple verification tool. Through GeoMap’s capabilities, our clients can geocode, validate and gain socio-economic insights into any physical address across Australia. 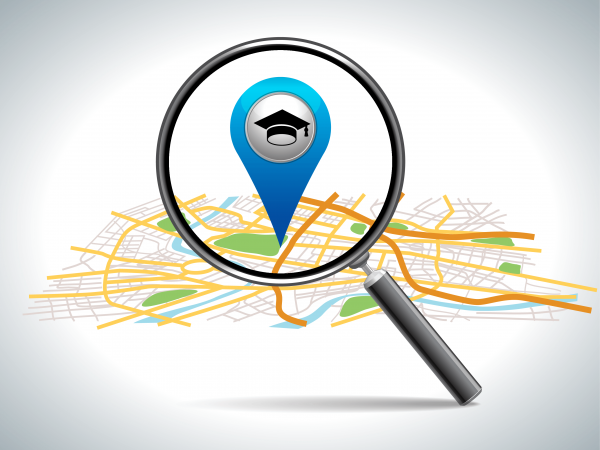 GeoMap has been effectively utilised within educational institutions, looking to better understand the students that are attending their university. This is useful for a number of reasons, such as allowing leaders to better understand their students and cater to their needs. Here, we better detail how educational institutes are incorporating GeoMap. GeoMap allows management and student support to better understand students coming into their university. Through data collection and assessment of residential addresses of future and current students, GeoMap can collate an analysis of student’s socioeconomic situation. The data compiled can then be utilised by the university to improve their understanding of students which enables tailoring of services to better meet the needs of students. GeoMap can easily be used as a market research tool, allowing marketers to better understand and better advertise for potential applicants. With appropriate assessment of student location, proximity to campuses and concentration of applicants, education institutes can better target and market to prospective students. This can be done through focussing advertising into specific areas, channels, as well as establishing better and more personalised marketing techniques suited to the character of the area. If students are coming from low income households, marketers can experiment with financial incentives, or provide better information to these areas on loans and repayments. Assessing the socio-economic status of student clusters can also help institutes better establish the financial needs of students. This can be whether they come from regional areas and if affordable housing should be established, or whether students coming from lower socioeconomic areas may require more opportunities for financial aid. With GeoMap, educational institutes can implement plans that better help the students attending their university. Not only is this beneficial for helping improve the quality education for students but it can also help your institute attract a larger scale of applicants in the future. To find out more about GeoMap, fill in your details online and we will get in touch with you shortly.